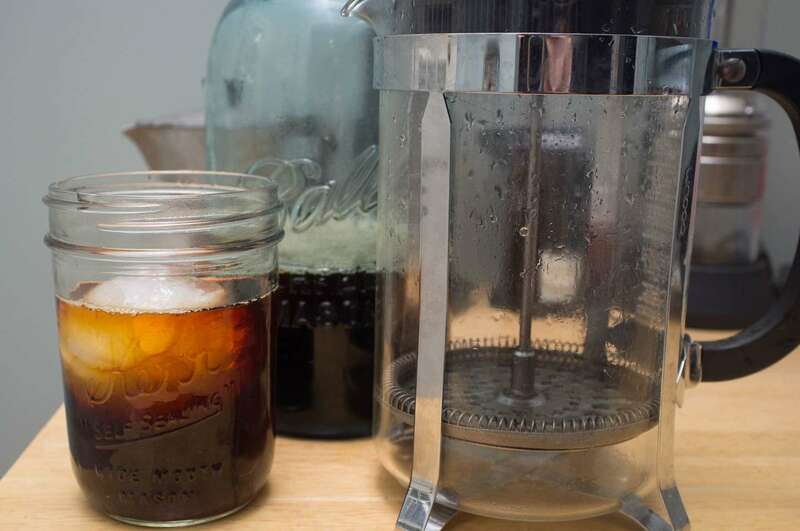 The easiest way to make great cold brew coffee is in the french press. 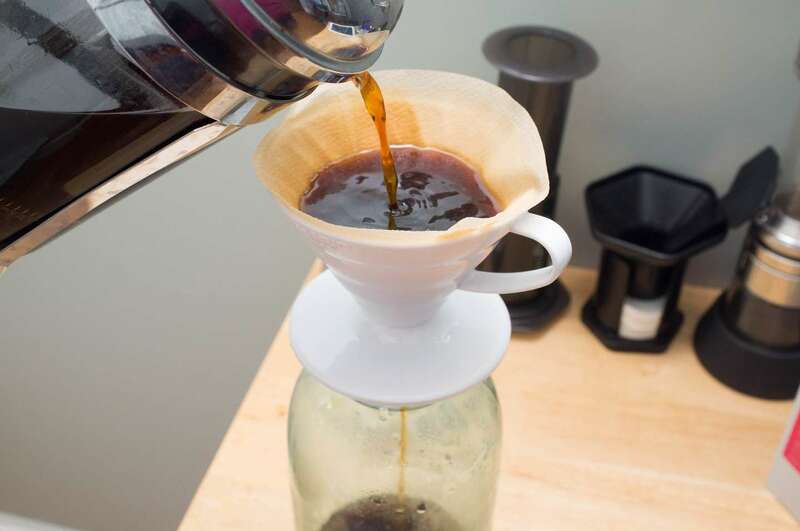 Follow this simple guide to get started. 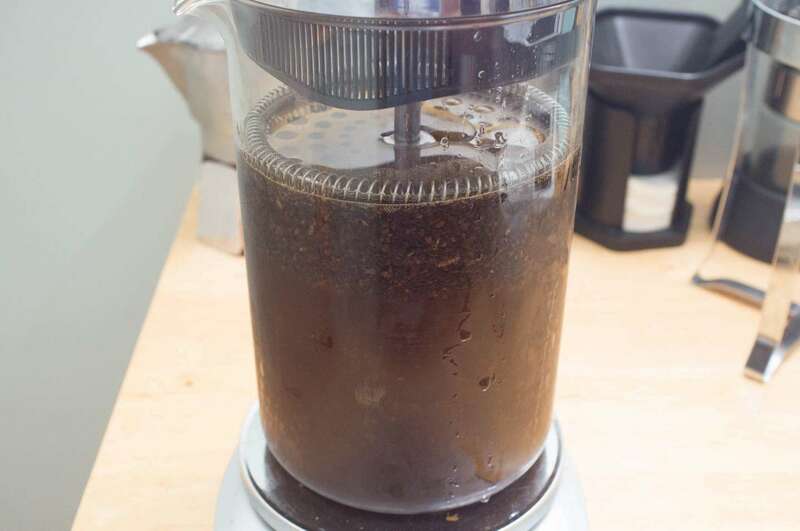 Your coffee should be as coarse as a normal drip coffee grind. 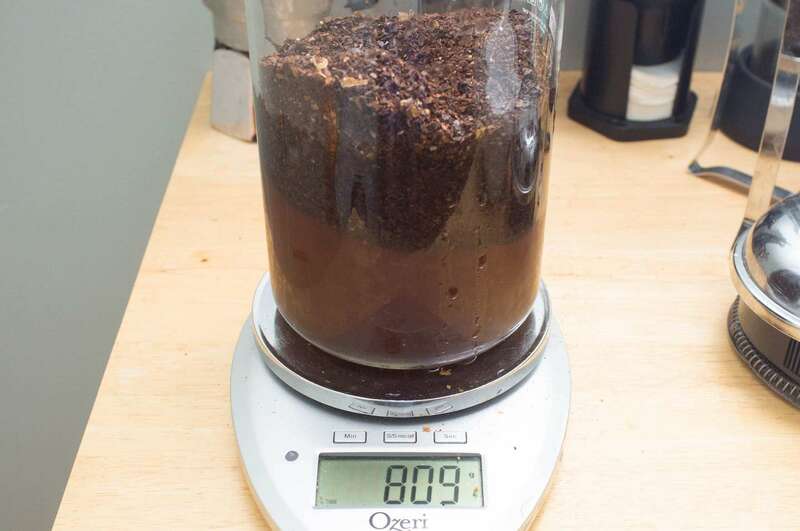 I like to use an 8:1 water to coffee ratio then add water to the concentrate. Anything between 7:1 and 16:1 will turnout great. 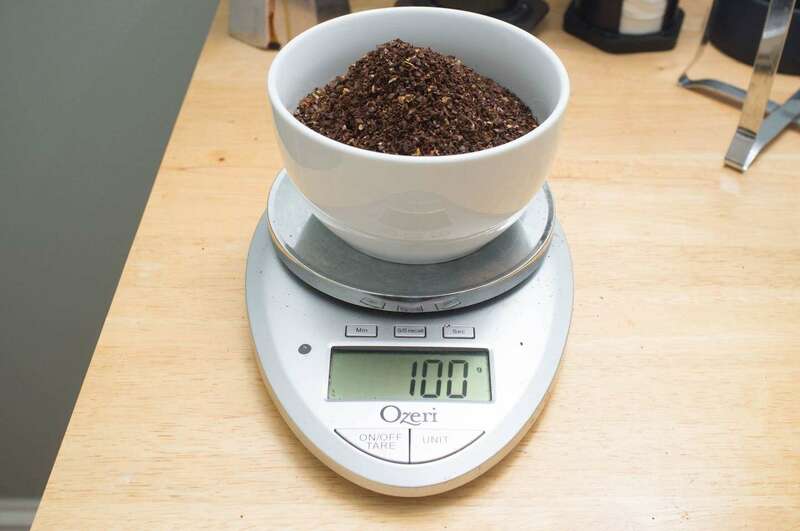 I use a scale for precision but you can eyeball it. It will still taste great and you can dilute it if its too strong. A wooden spoon is ideal. When covering, push the plunger down just beyond the level of the grounds. 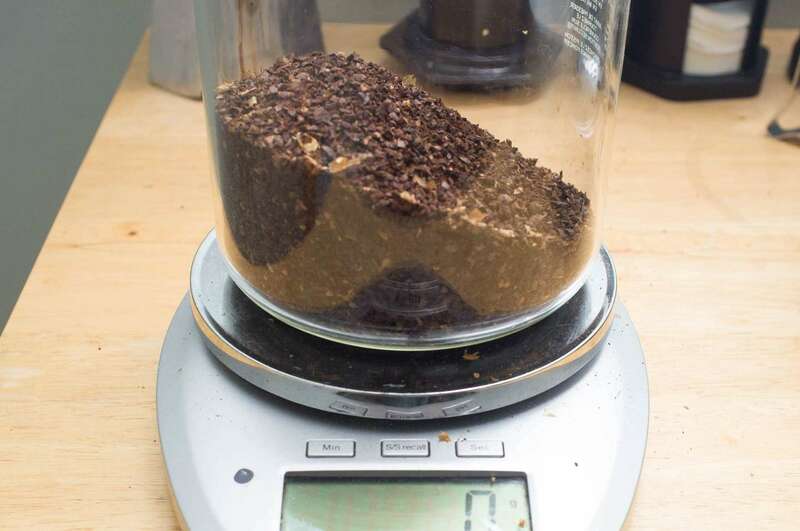 Be careful not to disturb the grounds too much while pouring.